If you read my blog you know that I have been working as a dog sitter for the last couple of months. I love it. I’m part of the DogVacay host community. 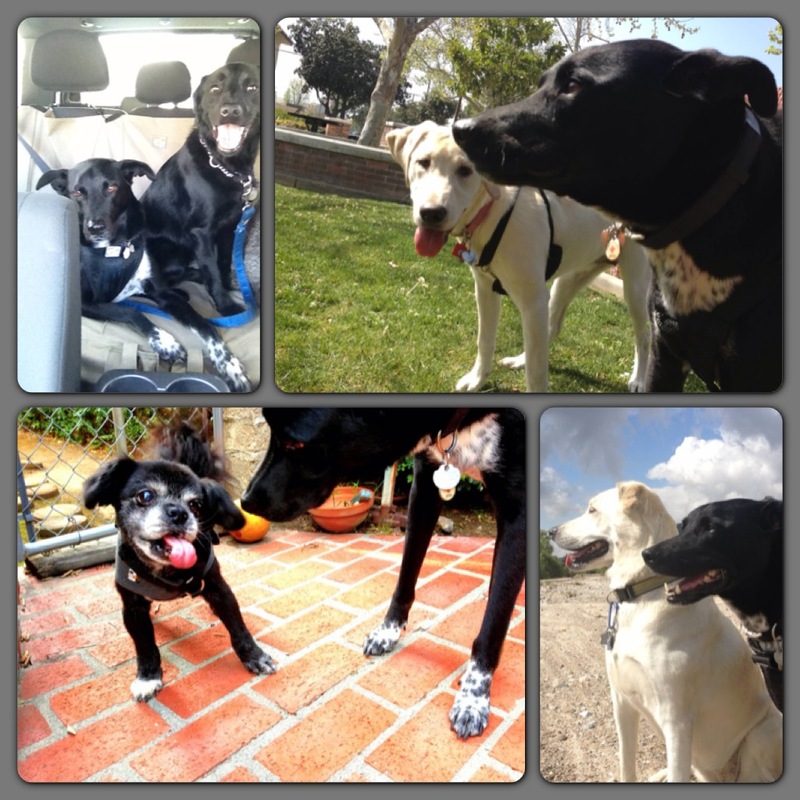 DogVacay is a national dog sitting community with its corporate offices in Santa Monica, CA. I’ve had such wonderful experiences with the company I wanted to make sure you know about them too. Good customer service is extremely important to me. I was trained as a member of the Guest Relations team at Disneyland. These are the folks that go beyond just the normal gold standard of Disney customer service training but move on to the “when people are really pissed off because of ridiculous crap, how do you help them” training. Ever since I am just incapable of dealing with and/or understanding companies with bad customer service. It is just so easy. Do you want your customers to be happy and come back or not? That’s the only question. If you do then empower your employees to be able to help. To be able to help, no questions asked, and without fear of them doing something wrong and getting in trouble. Award them for helping. Award them for thinking out of the box in how they help. Award them for being your brand ambassador and by doing so your company will flourish. Recently a good friend of mine in NJ/NY asked me if I knew of someone in her area that could watch her dog for an upcoming vacation. Unfortunately I didn’t, but I told her how I would act if I was looking for a host on DogVacay. As a super protective dog mom and host myself I feel like I’m in a unique position to offer advice on this matter. I decided to pass this on to you so if you ever plan on using DogVacay.com, as you should, you will have the inside scoop! The site allows you to search around your zip code to see what hosts are available. You can filter your search results based on a few specific needs you may have like, “ability to give oral medication,” and/or “houses without dogs.” Go in and do a search first to see what you find. The hosts bio will include information on him/her and dogs in the house, what type of living environment they have (house, apt, yard, etc.) and, hopefully, pictures. My first tip. Look for hosts with pictures. There is no real good reason for this except it helps to see that they care enough to post pictures of them, any dogs they have taken care of, their dog adventures, etc. Under the “Credentials” section look for hosts that have “Premium Insurance.” This means the host has opted to purchase additional insurance above and beyond what the site offers as a default. It is inexpensive for the host and, I think, is good for all parties involved. My Premium Insurance is what covered Dragon’s vet visit so that his folks didn’t have to pay. Also under “Credentials” look for “References Checked.” Usually when I’m in the position of hiring manager I’d tell you references are useless. Any blockhead can get 3 people to say he/she is a good guy. In this case the DogVacay site is dealing with folks that they haven’t meant. They aren’t hiring hosts but instead providing a community were hosts can hook up with customers (dogs and dog parents). It is up to you to do any kind of interview that you feel is required with the host. The references checked means the host cared enough to get three friends to answer DogVacay’s questions about them in writing. There is also a notation that says whether someone at DogVacay has conducted a phone interview. I wouldn’t hold it against someone if they don’t have that … mostly because I don’t. The company is a bit behind in getting up to date on those. I sent in a request for a call when I first started as a host and it hasn’t happened yet and I’m a good host … so …. Finally I would make sure a host I considered had at least a couple of reviews (good ones). I realize this isn’t fair to the new hosts who haven’t had an opportunity to earn reviews yet but I warned you I am a protective dog mom. Also notice that many hosts offer other services. Go to that tab if you want to check it out. Other services can include day care, baths, grooming, training, drop off/pick up, etc. Note that all the prices, including overnights, are included but hosts can give custom rates. As an example, I give a discount when there are multiple dogs coming from the same family. Feel free to use the “ask the host a question” button if you want to ask about a service they provide, any costs, possible discounts, or even something that they haven’t listed. Huge rule during meet and greet and/or any pre discussions with hosts. BE HONEST. If you have ANY concerns and/or your dog has any “issues” make it clear to the hosts so she/he knows what to expect. Holding back only makes the hosts job harder and can possibly put your dog in danger. Don’t feel like “letting it all hang out” is going to stop the host from accepting the job and frankly if it does consider it a bullet dodged. If your dog has separation anxiety and may destroy things if left alone … SAY THAT. If your dog doesn’t do well around strangers … SAY THAT. If your dog doesn’t eat when you leave him alone … SAY THAT. 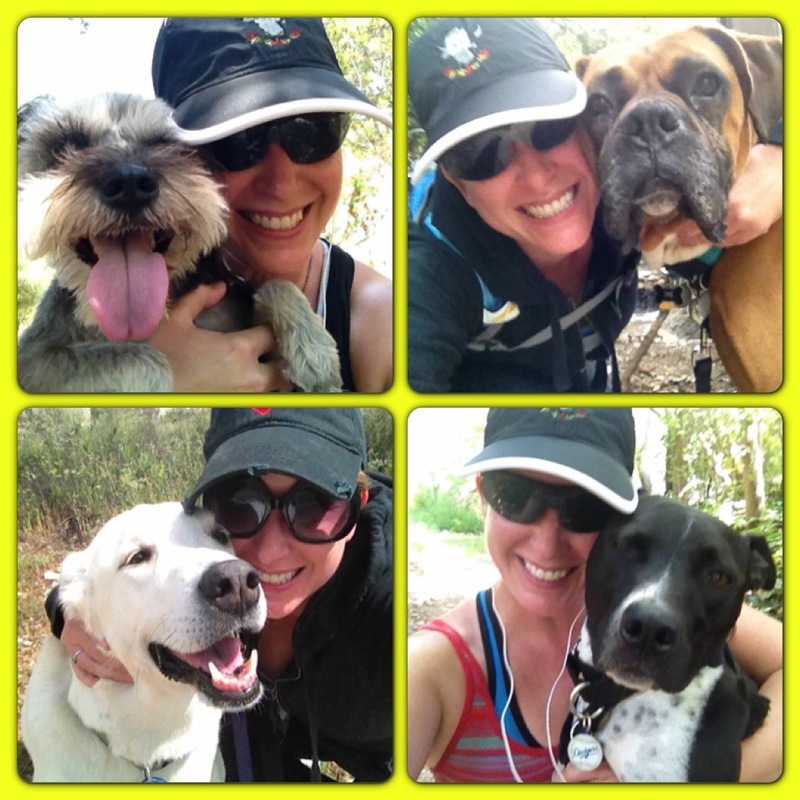 If you are anxious having your dog off leash even in off leash approved areas … SAY THAT. Any and all information is helpful and needed! Don’t be afraid to let your dog crazy show. More than likely you aren’t the weirdest dog person the host has dealt with. The fact that you care enough to find the best sitter for your dog proves that he/she is part of the family. Not a dog but your baby. You are allowed to be a little bonkers. Food. More than enough for the amount of time your dog will be on vacay. Treats. Double what you think you should pack. Assume the treats will be eaten by the house dog and yours. It is just easier and less fighting if everyone gets the same treat at the same time … just like human kids. Remember your dog is in a foreign place and his favorite treats can be used by the host to help him remain calm and happy and to connect with his vacay family! More than likely your dog will be getting plenty of house dog treats too. It all evens out! If your dog has a food allergy be sure to let the host know. Emergency numbers and medical info including your dog’s weight. Copy of licence and rabies vaccination isn’t necessary but good to have. Honestly only one of my dog folks has brought it and I have never needed it … but since I’m telling you want to bring I’m adding this to the list for good measure! A non-retractable leash. In general I say always use a lead vs. retractable leash but when handing your dog over to the sitter definitely stick with the lead. It’s very difficult to walk multiple dogs with a retractable leash and due to the way the leash works it isn’t really safe for any dog/human involved. Dog seat belt …. if you have one. Walking harness …. if you have one. If you think it will help your dog feel at home, and it is possible, bring his bed. Personally my ugly plush carpet makes my house one big giant bed with a sprinkling of actual dog beds here and there. Many of my dog guests have slept on one of Riggins bed, the floor, or up in bed with me (or us, if Riggins feels he needs to be there too). Still anyone who has brought a bed with him has used it. It becomes their safe zone in the house … their personal real estate. Crate and pee pads if needed. Skip the toys and chews. Unless you are sending your dog to a house with no other pets keep toys and chews at home. The host dog is probably used to sharing his toys while your dog is use to having his favorite all to himself. Whenever a mom/dad brings a toy or chew with their dog I end up having to take it away and only let the guest dog have it when the dog’s are separated for eating. The DogVacay site does give hosts tips on how dogs should meet. You should know them too so that you make sure they are followed for any first (or even second) greeting. Dogs should meet on neutral ground. When I have a dog come I ask his folks to take him immediately to the backyard. I then let the guest dog get the lay of the land while I talk to his folks and ask all my questions. When it seems the guest dog is settled into his new environment I’ll let Riggins (and any other dog I’m watching at that time) come to the backyard. Once all are happy with each other than we will go inside and take a tour of the house. Since Riggins and dogs I watch, tend to be protective of me I don’t sit down but instead stay standing and keep the dogs in open areas as they get to know each other. This cuts back on any possible protective growls and fights. The DogVacay site suggests the next step should be taking the dogs for a walk together. Personally I’d want this done during meet and greet. If you do this step my suggestion is to let the host take the house dog and your dog out around the block without you. Dogs, like kids, act different when they are away from their folks … usually better. To be honest I’ve only done this once and it was the one time I had an issue and a dog attacked Riggins … grrrr. Just goes to show you there really is no fool-proof way to make everything work out. Normally I’ll wait until after my guests folks are gone THEN take the dogs on a walk or, if they are doing well and have no problems, pack them up and take them for a hike. A longer walk and/or hike doesn’t just help the dogs get to know each other and work together but also poops them out. Remember a pooped out dog is a happy dog! Just like a child when you leave your dog don’t make a fuss. Just leave. 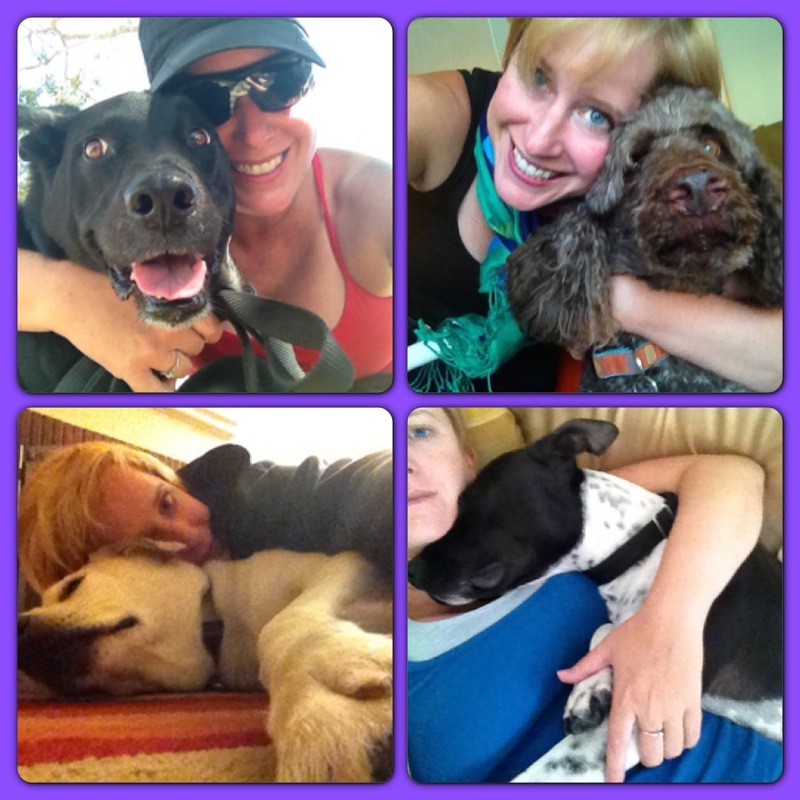 Extra hugs, kisses, cuddling, etc is just going to cause your dog to take longer to settle in. I won’t lie to you … I’d totally be bad at this if I was leaving Riggins. 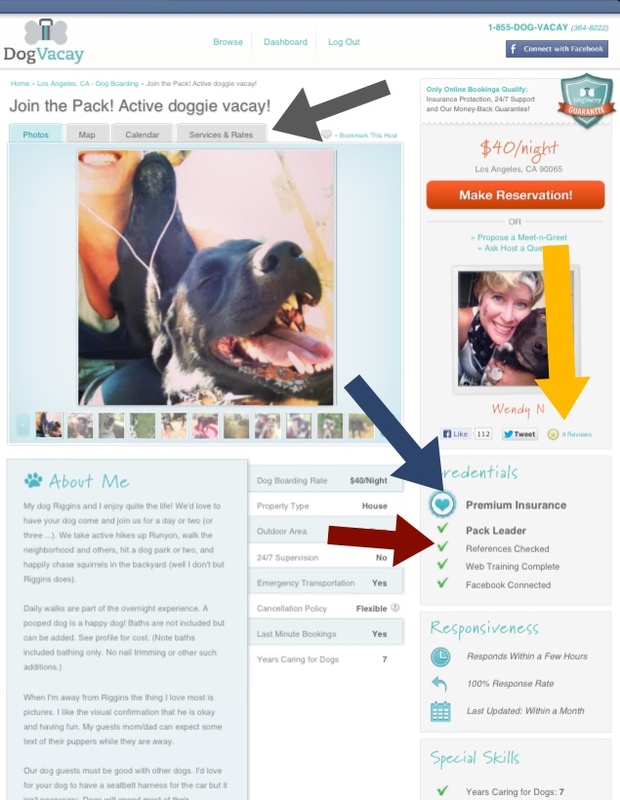 Your guest will automatically have the phone number you included on your DogVacay profile but if you have others that you can receive picture texts on let them know. The DogVacay site will prompt the host to send you pictures via email (it goes through their system) if you want lots of pictures and/or want it more directly via text just tell the host. You will notice an extra number on the texts. That’s just the DogVacay site folks to make sure they are in the loop. When you get home and pick up your pooch be ready to get smothered in licks and snuggles because no matter how much fun your doggie has on his vacay there is no place like home and no one like mom! Wendy – Have you thought about opening up your own pet store business full time? The Dog Vacay has a shelf life on it, I don’t know how long, but what happens when people’s dogs start getting sick from staying at stranger’s homes? No one mandates that the dogs have to have a Parvo or Bordatella or Distemper vaccination. What are the disaster procedures in case of emergency at a residence versus a business? I think you have enough of a reputation that you could parlay that into a real business where you maybe also offer dog daycare in addition to dog boarding, maybe cageless boarding where you can use the skills you have learned with the Vacay operation as the pet sitter for a group of dogs in a business setting. I hope to read about more of your blog posts.